← SABERTOOTHS EATING FROM CARCASSES: HOW DID THEY DO IT? 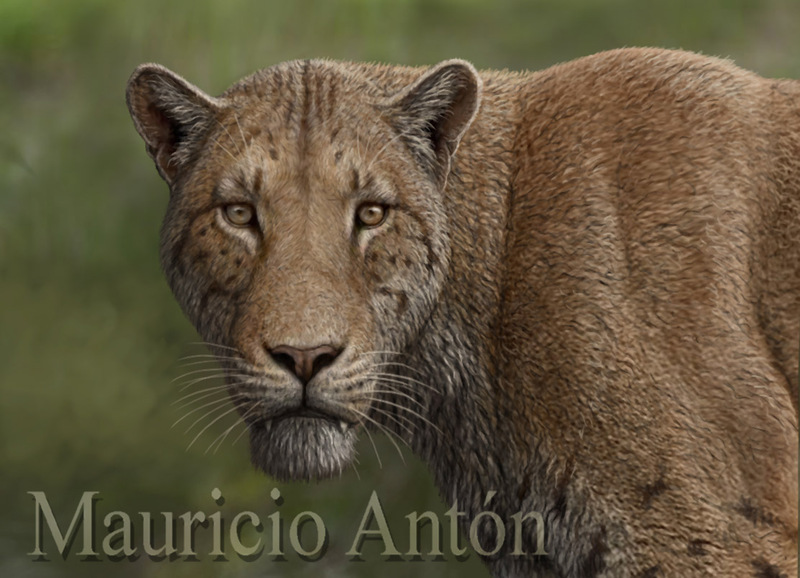 It has long been clear that Homotherium was the sabertooth genus that lasted longest in Europe, and the one that had most relevance for hominins living in that continent during the middle Pleistocene. Fossil finds from Atapuerca, for instance, showed its presence at a time when Homo heidelbergensis was well established in Spain. But the most dramatic evidence of coexistence between hominins and Homotherium arrived recently in the form of an amazing discovery at an already famous site: Schöningen. 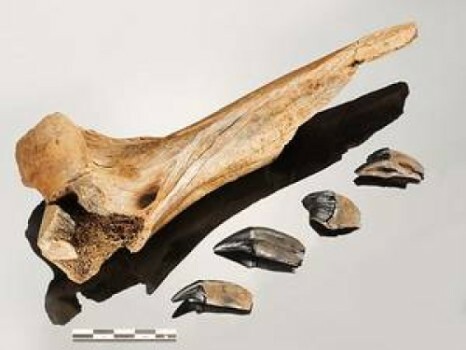 The fossil site of Schöningen is known to archaeologists worldwide because of the miraculously preserved wooden spears found there in the late 1990s. The site yielded massive amounts of ungulate, and particularly horse remains, many of which showed clear signs of having been butchered by hominins, and the shape of the wooded spears, clearly designed to be thrown at a distance, gave clear indications as to how those horses would be hunted. Last year, a new discovery was announced at Schöningen: several fossils of the sabretooth Homotherium had been found at the very same level (Schöningen 13 II-4) that had yielded the spears. The finds included several teeth of a young adult cat in pristine condition, and an impressive humerus bone. Last week I had the privilege to attend a workshop that took place at the beautiful Paläon museum at Schöningen to discuss the relevance of the Homotherium finds and to place them in a truly multidisciplinary context. I was able to observe the new fossils first-hand, and the diversity of the talks and presentations at the meeting provided a kaleidoscopic perspective, and plentiful food for thought. At 300,000 years old, these are the youngest Homotherium fossils to be found in a well-studied, stratified fossil site in Europe, and impressive as the findings are, the implications are simply phenomenal. Detailed studies will be published before too long that will change the way we see the interaction between humans and Homotherium. At Schöningen, our extinct relatives had plenty of occasions to meet this imposing predator. Dangerous as those encounters could be, I would gladly trade myself for one of those hominins for a few days, for the chance of being face to face with Homotherium. But please, let me take with me one of those wonderful wooden spears. Just in case. Posted on 12/06/2015, in Uncategorized. Bookmark the permalink. 2 Comments. Fantastic news! Great to fill in the gap by another 100,000 years. Not enough evidence to support a continued existence of Homotherium in Europe until the late Pleistocene North Sea fossil I take it? Good question! Until more finds are made, my tentative interpretation of the evidence is that the North Sea mandible is part of a late Pleistocene reinmigration event from North America. But it would be wonderful if a complete mandible were found at Schöningen so that we could compare its morphology to the North Sea one.. Only more excavations at the site will show.